Starting point: Càmping Alberg, follow the rout of Fontanilles until the end (3 km / 40 min), after getting to the hill, go across the fields towards l’Obac where the path goes up on the right, until you find the first section of chain. Via: The first section is equipped with a railway of chains and goes up the cliff into 15 m sections. Between the first and the second section you have to walk 1 km. 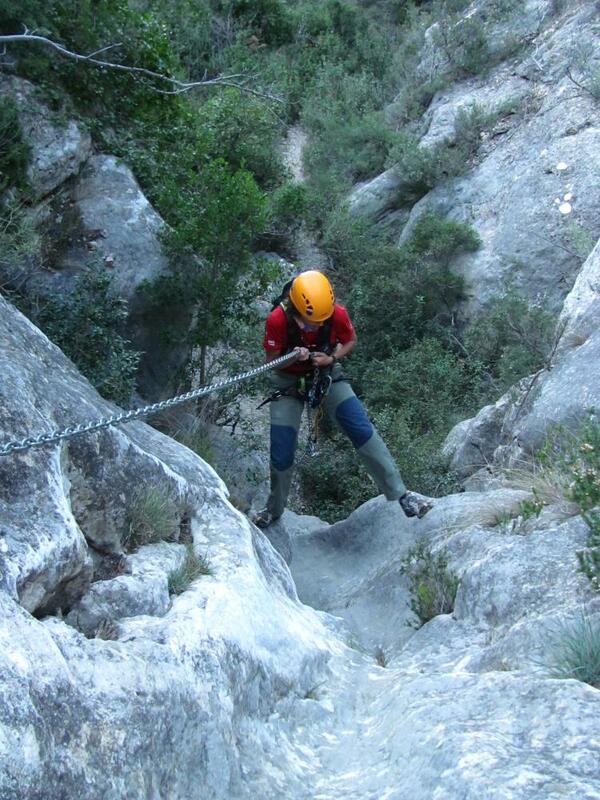 This second section consists of 3 little sections of chain to climb 30 m of rocky wall. Descent: If you do the second section we go out through the Cim de la Puça towards Coll de Monetze. Otherwise, you go out along the Borjos path to Cabells I la Foig (2,8 km / 35 min).